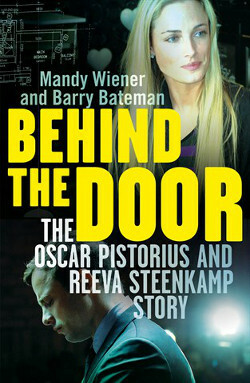 Judge Dennis Davis sent shockwaves through the South African literary community recently with his review of Behind the Door: The Oscar Pistorius and Reeva Steenkamp Story by Mandy Wiener and Barry Bateman. Davis has contributed that rare thing to our local literary scene — the negative book review. It was not only negative, but excoriating. Davis takes Behind the Door and flays it alive, boils it in oil, and tosses its cold corpse out to the vultures. He shows no mercy. He finds no redeeming features in the book and refuses to pull his punches in any way. It is impossible to overstate how rare such a review is of a South African book. Our book reviewing community has long been a haven of backslapping, mutual congratulation, and warm handshakes. A significant part of the problem is the tiny and claustrophobic nature of our literary scene. Most book reviews are written by people who are writers themselves, or by reviewers who have been on the scene long enough to have become deeply invested in encouraging local writing. This supportive atmosphere is not altogether a bad thing. The fact that post-apartheid literature grew up in such a nurturing environment is part of why it has flourished to such an extent. If one may draw an analogy — local writing was the tender newborn, and then the wobbly toddler, whose every achievement was greeted with extravagant praise. But now that our literature is up on its feet — walking and talking all on its own — one has to wonder whether it still needs to be mollycoddled. Many would agree that our writers are more than ready for a robust critical environment. But how do we go about setting up such a thing? As long as writers are reviewing other writers’ books, nothing is likely to change. If you write a scorching denunciation of another writer’s book, you will be highly embarrassed when you run into that writer (as you inevitably will) at the next book launch or literary festival. You may also be suspected of harbouring a grudge or having some other unworthy motive for trashing the book. The truth is, it is not up to local writers to change the standard of book reviewing in this country. The impetus has to come from somewhere else. This is why it worked so well for Davis to review Behind the Door. He is an acknowledged expert in the particular field that the writers have ventured into — the law — and he is not a part of the local literary or journalistic community. This puts him in the perfect position of objectivity and fearlessness that book reviewers should ideally inhabit. In England there is an annual prize for the book reviewer who has produced the most entertainingly negative review of the year. It’s called the Hatchet Job of the Year and has become surprisingly prestigious, with book reviewers competing strongly for the honour. The prize was set up for the best of motives — to put a stop to the literary backslapping that was happening even in the UK. Unfortunately it had the unintended consequence of making reviewers fight so hard for the glory of making the annual shortlist that they are now trashing books purely for the sake of being eligible to enter. South Africa may not be ready for a prize of this nature, but it is certainly something worth considering. Another possibility, and one I have suggested elsewhere, is for more reviews to be written under the cloak of anonymity. Many an insightful and fearless review has been written by that sharp-eyed critic, Anon. It just seems rather cowardly, to say the least, to write negative things while hiding behind this guise. But there is no doubt that it would take some of the pressure off reviewers to be so relentlessly positive all the time. It’s not a long-term solution, though. Readers want to know that the person behind the review has the courage of their convictions. The answer seems to be to let other people do the reviewing for a while — people like Davis. The difficulty with this lies in finding reviewers who are eloquent enough to produce well-written book reviews, who aren’t already part of the bookish community. By their very nature, people who are good at writing tend to find their way into journalism or publishing. One possible untapped field is academia. Academics are often thoughtful and accomplished writers. They also tend to prefer literary novels, though, which leaves genre writers somewhat out in the cold. But there must be a potential pool of reviewers out there who are independent, objective, and enthusiastic about local literature. We need to find them and tap into them quickly before local writing drowns in the warm bubble bath of its own self-congratulation.